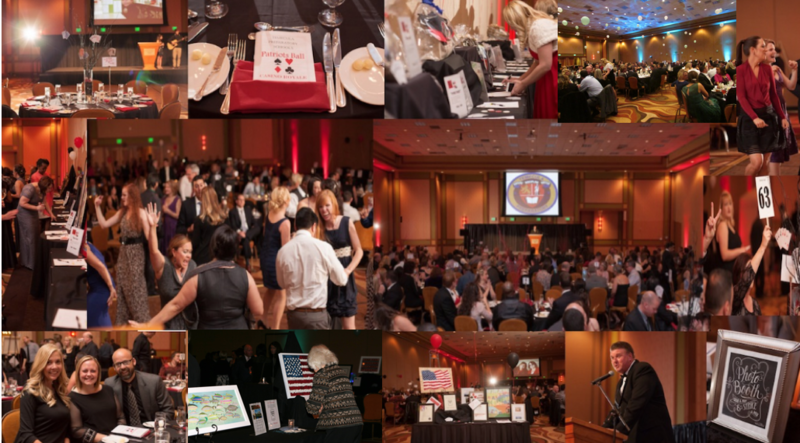 The Patriots Ball is a time-honored and favorite event enjoyed by staff, parents, students, alumni, and guests. It is an exciting evening for the TPS community to get together for a special night of dinner, dancing, and entertainment! Attendees can bid on spectacular silent auction and live auction items (including some incredible K-6 class art pieces) and a professional emcee keeps the action moving! 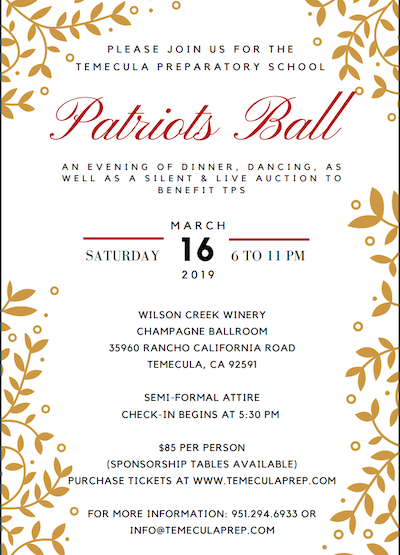 All donations raised from the event are used for Temecula Preparatory School and in the past have helped to purchase curriculum, technology, to make campus improvements, and more! Tickets are no longer available for the 2019 Patriots Ball. We hope to see you in 2020! 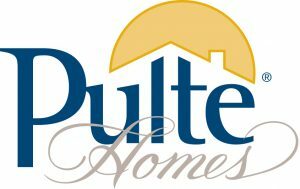 Click on the image above for a bigger view. Thank you to the following 2019 corporate level donors! There is still time to add your business. Contact info@temeculaprep.com for donor information.